Struck in pure silver, the silver Vienna Philharmonic has also proved to be a massive hit with investors, selling 41 million pieces in the past three years alone. Like its gold counterpart, the silver coin depicts a harmonious assortment of musical instruments, including a string bass, cellos, violins, a bassoon, a harp and a Viennese horn, on its reverse. 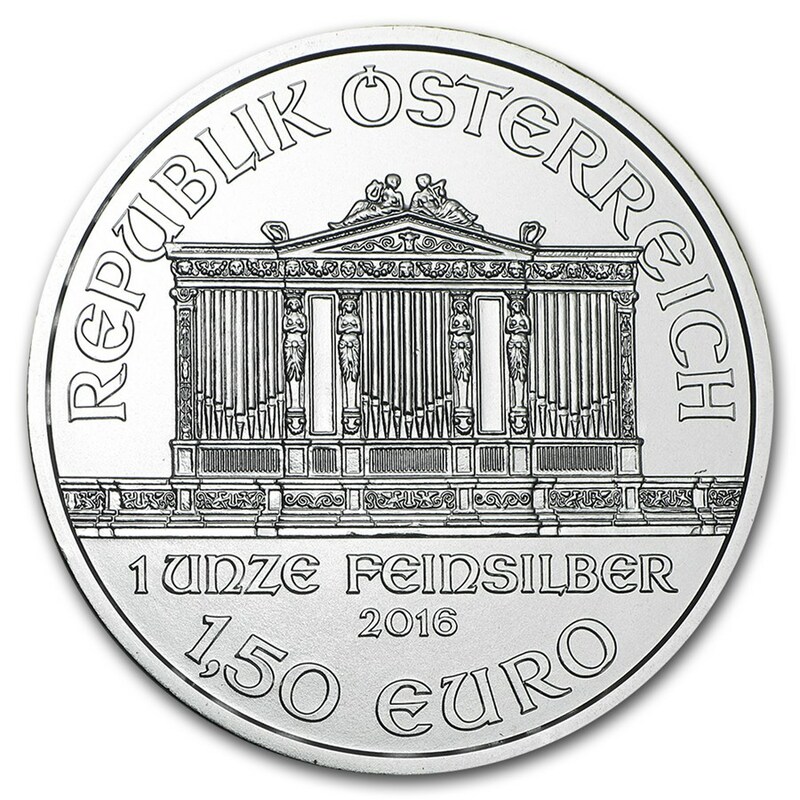 The obverse of the coin shows the great organ of the Musikverein concert hall in Vienna, the orchestra’s home. The face value, weight, fineness and year of issue also feature on this side of the coin. As Vienna Philharmonics in silver are legal tender they also offer a high degree of security to investors. First minted in 2008 by the 800-year old Austrian Mint, Silver Vienna Philharmonics are pure .999 fine silver bullion coins. 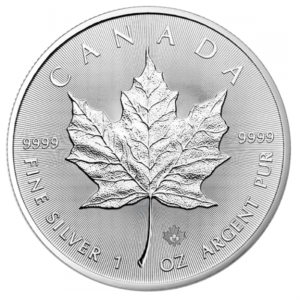 Each coin contains one troy ounce of pure silver and measures 1.457″ (or 37 mm) in diameter. 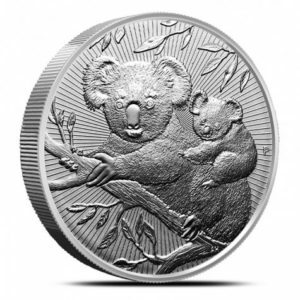 They are exquisitely beautiful and impressively large coins…and make a handsome and worthwhile addition to any investment portfolio. The reverse side of the coin features the image of the “Great Organ” found in Vienna’s “Golden Hall,” the concert hall where the Vienna Philharmonic Orchestra performs. 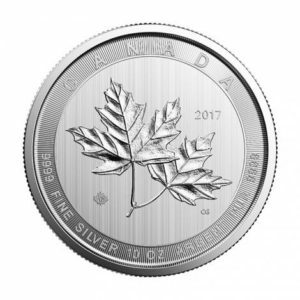 The country of issue, the silver weight in ounces, and the 1.5 euro legal tender value are also stamped on the reverse side of the coin. 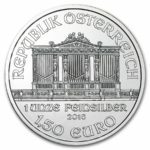 The Austrian Mint, located in the heart of historic Vienna, Austria, has an 800-year tradition of minting some of the most beautiful and technically perfect coins in all of Europe. 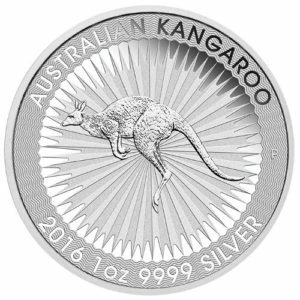 In fact, the Mint traces its roots back to the year 1194 when an enormous silver treasure—from a ransom paid to free England’s King Richard the Lionhearted, taken prisoner in Vienna on his way back from the Crusades—was used to create silver coins for the Austrian empire. Today, the Austrian Mint is one of the most modern and proficient mints in the world and is a leading producer of euro coinage and pure gold and silver bullion coins.